2019--WJM re-elected Chairman to Zoning Board of Adjustment for the 25th consecutive year, Westwood, NJ. 2019--WJM re-appointed to Planning Board for the 24th consecutive year, Westwood, NJ. 2019--WJM contimues to serve on the Bergen County Historic Preservation Advisory Board, Bergen County NJ. 2019--WJM contimues to serve on the Closter Historic Preservation Commission, Closter, NJ. 2018--WJM re-appointed to Planning Board and re-elected Chairman to Zoning Board of Adjustment, Westwood, NJ. 2017--WJM re-appointed to Closter Historic Preservation Commission, Closter, NJ. 2016--AIA - NJ Task Force on Lightweight Construction— issues AIA NJ White Paper with WJM as contributor.  Improvements are suggested to NJ building codes by the Task Force for increased public safety with the use of sustainable building construction materials. 2015--In the wake of public safety concerns from a large condominium apartment building fire in Edgewater, NJ ... WJM is asked to serve on AIA-NJ Task Force on Lightweight Construction— The Task Force is convened by AIA NJ President Kim Bunn and AIA NJ President Elect Justin Mihalik to advise on increasing public safety and reducing property damage in lightweight construction projects in New Jersey. 2015--WJM presented with Trustee Award from ARCHITECTS LEAGUE OF NORTHERN NEW JERSEY (ALNNJ) for outstanding contribution to the profession in the past year. 2015--WJM re-appointed to Planning Board and re-elected Chairman to Zoning Board of Adjustment, Westwood, NJ. 2015--WJM re-appointed to Zoning Board of Adjustment for a 6th Four year term, Westwood, NJ. 2014--WJM elected Chairman to Zoning Board of Adjustment for the 20th year, Westwood, NJ. 2014--Mayor re-appoints WJM to Planning Board, Westwood, NJ. 2013--WJM design philosophy, Econo Fuctional Aesthetic Balance (Efabism), employed at panel discussion at 28th National Convention of Architectural Engineers, Udaipur, India. Discussion centered on innovative technologies in the area of architectural designs for building developmental works. Also emphasized cost effective technology and its sustainability towards construction works and optimum usage of materials in an age of rapid urbanization. 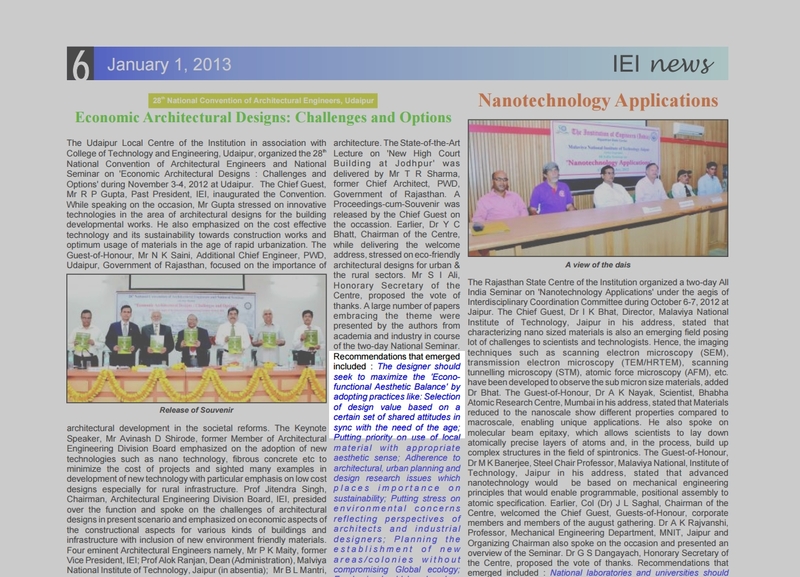 Click here to see IEI news article. (use BACK button to return here) - or or PDF version. 2013--WJM re-appointed to Closter Historic Preservation Commission, Closter, NJ. 2013--WJM re-appointed to Planning Board and re-elected Chairman to Zoning Board of Adjustment, Westwood, NJ. 2012--Bergen County Executive and Bergen County Board of Chosen Freeholders re-appoints WJM to the Bergen County Historic Preservation Advisory Board, Bergen County NJ. 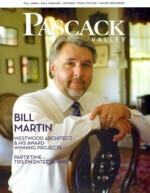 2011--WJM Architect celebrates 20 YEARS in private practice. 2010--WJM obtains license to practice architecture in the Commonwealth of Massachusetts. 2010--WJM passes Green Building Certification Institute (GBCI) exams and receives Certified LEED AP-H Professional Credential. 2010--Atlantic City, NJ -- ACI New Jersey Home Performance Conference & Awards Banquet 2010 features WJM as a seminar presenter LEED Plat home design. ACI (Affordable Comfort, Inc.) is a non-profit organization, founded on an assembly of people who gathered in Pittsburgh, PA in 1986. 2009--WJM designed building awarded LEED Platinum by United States Green Building Council (USGBC) as an excellent example of Green design effort. 2009--EcoHome Magazine, publishes a WJM Architect project in its November Issue. 2009--WJM website featured in ARCHITECT ON LINE magazine. 2009--WJM appointed member of the Bergen County Historic Preservation Advisory Board by County Executive Dennis McNerney and the Board of Chosen Freeholders. 2008--WJM Architect becomes a member organization of the U.S. Green Building Council. 2008--WJM Architect reaches commission number 1750. 2007--WJM is interviewed by WNBC-NY News Anchor Lynda Baquero about designing home for Corporal Visnu Gonzalez, returning Iraq War Veteran. 2007--WJM re-appointed to 4th four year term to Zoning Board of Adjustment, Westwood, NJ. 2005--THIS OLD HOUSE Magazine, with a national circulation of nearly One million copies per month, publishes a WJM Architect project in its July/August Issue. 2005--WJM Architect reaches commission number 1500. 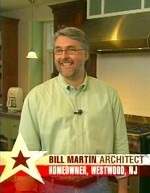 2004--WJM is guest speaker with professional program panel at Kitchen & Bath Industry Show, Chicago, Ill.
2003--As an expert witness, in the case of Lamart Corporation vs. Mayor and Municipal Council of the City of Clifton, NJ, Mr. Martin's expert Architecture and Professional Planning testimony was cited as instrumental in affirming the granting of the variances by the Superior Court of New Jersey Appellate Division. (Docket No. A-1883-01T5 appeal decided Aug. 4, 2003). 2003--WJM Architect reaches commission number 1250. 2002--WJM Website wins DESIGN AWARD from (KISS)Website Awards. WJM site received their Premier "Labore &c. Praemium" Award for simplicity and elegance in website design. 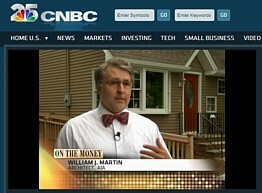 2001--WJM Architect celebrates 10 YEARS in private practice. 2001--WJM Architect reaches commission number 1000. 1999--WJM Architect reaches commission number 750. 1997--WJM Architect reaches commission number 500. 1996--WJM passes NJ Department of Community Affairs Sub-code and Construction Official Exams and obtains NJ Construction Officials license. 1996--WJM receives second Government Appointment to Planning Board, Westwood, NJ. 1996--WJM passes NJ Department of Community Affairs Building Inspector Exams and obtains Class 1 NJ Building Inspectors license. 1995--WJM elected Chairman to Zoning Board of Adjustment, Westwood, NJ. 1995--WJM Architect reaches commission number 250. 1994--WJM passes New Jersey Professional Planners Examination and obtains license to practice Professional Planning in NJ. 1994--WJM passes American Institute of Certified Planners (A.I.C.P.) Comprehensive Planning Written Examination. 1993--WJM receives first Government Appointment to Zoning Board of Adjustment, Westwood, NJ. 1993--WJM obtains license to practice architecture in New York, Connecticut, and Pennsylvania. 1990--WJM passes Architectural Registration Exam and obtains license to practice architecture in NJ early 1991. 1990--WJM completes required internship, one year early, and becomes eligible to take Architectural Registration Exam. 1988--WJM receives competing job offers from 4 architectural firms. 1988--WJM receives Architectural Degree (BArch) with honors from Pratt Institute, NYC. 1982--WJM first employment in architectural office, working while attending college. 1969--WJM decides, in elementary school, to become architect.